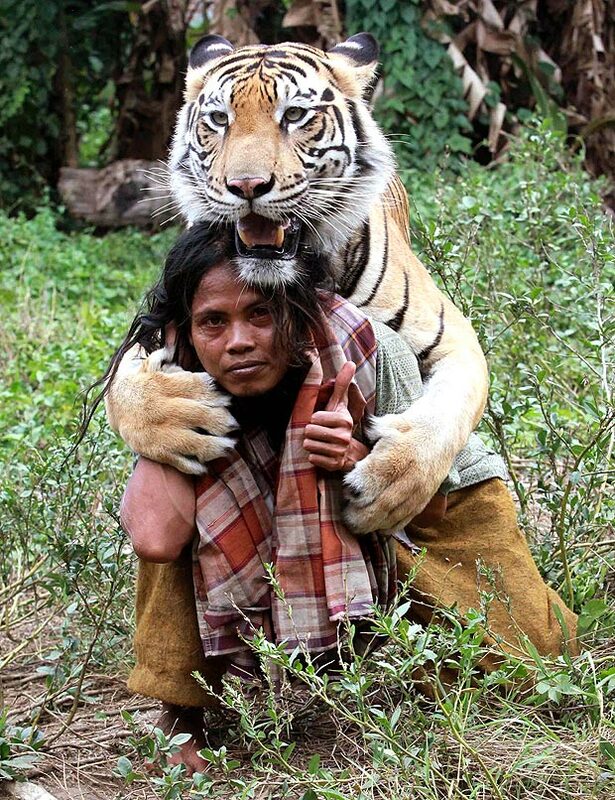 FEARLESS Abdullah Sholeh poses with his best friend — a 27-stone Bengal tiger called Mulan. The big cat has been raised by Abdullah, 31, since she was a three-month-old cub. 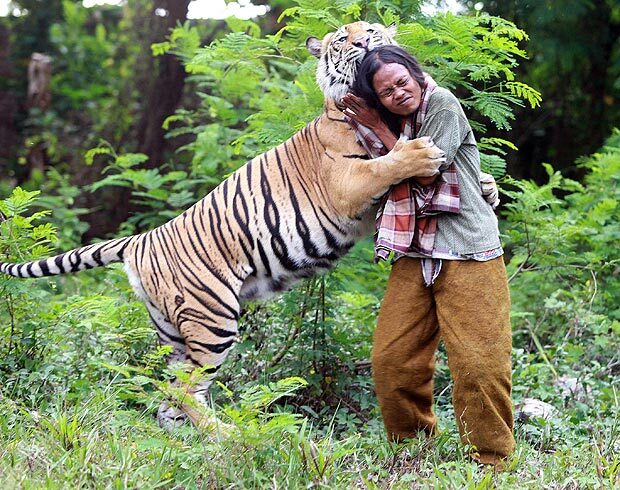 Now besotted Abdullah cuddles, plays and even has mock fights with the four-year-old tiger, who he looks after full-time for owner Noer Mohammaed Sholeh. 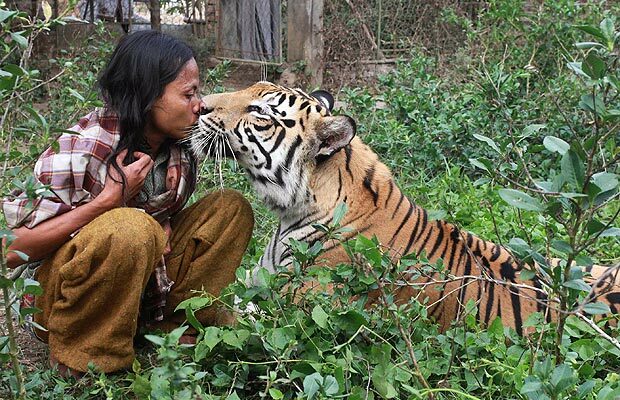 Affectionately known as the “tiger nanny”, Abdullah often shuns his own bed to sleep alongside Mulan in a rickety outhouse in Malang, Indonesia. Abdullah says: “I never feel scared, I consider her my everyday friend.